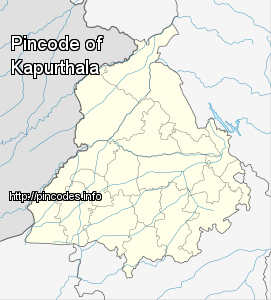 Kapurthala (Punjabi: ਕਪੂਰਥਲਾ) is a city in Punjab state of India. It is the administrative headquarters of Kapurthala District. It was the capital of the Kapurthala State (ruled by Ahluwalia Dynasty), a princely state in British India. The secular and aesthetic mix of the city with its prominent buildings based on French and Indo-Saracenic architecture self-narrate its princely past. It is also known as city of Palaces & Gardens. Kapurthala was founded in 11th century by Rana Kapur, who was descendant of Rajput royal house of Jaisalmer, Rajasthan. It is known to be an erstwhile royal state. The Aam Aadmi Party (AAP) Sunday announced the names of three more party candidates from Punjab, including retired judge Zora Singh, for the Lok Sabha elections.